Wells Ventless Hoods are a great alternative to traditional Type-1 ventilation. Ventless allows you to place electric ovens, fryers, ranges, griddles, hot plates, woks, steamers, combi ovens, induction hot plates, and more almost anywhere! 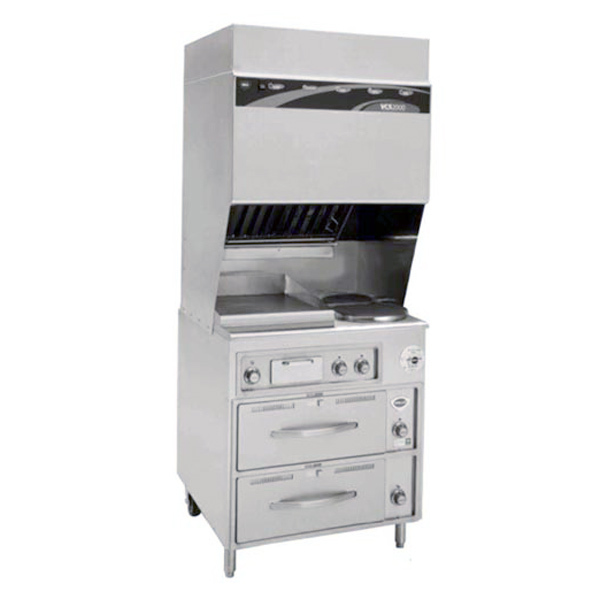 Mix and match various electric cooking equipment under the hood such as fryers, ovens, griddles, steamers and more – providing greater flexibility and production. Receive a personalized set of Wells solutions from Pace Reps.